The first four new gTLDs to received the Internet Corporation for the Assigned Names and Numbers' approval are .شبكة, (Arabic for “network” or “web”), .游戏 (Chinese for “game”), and two Russian domains .онлайн and .сайт meaning “online” and “website” respectively. The first four gTLDs (generic top-level domains) approved for delegation by ICANN were introduced into the Internet’s Root Zone on 23 October. The domains have not been made available for general registration, yet. One of the delegated TLDs is شبكة, the Arabic word for “network” or “web”, while another is 游戏, which stands for “game” in Chinese. The other two domains – онлайн and сайт – in Russian mean “online” and “website” respectively. Despite being the first of more than a thousand new gTLDs to be released, the four internationalised domain names (IDNs), or domains consisting of words in non-Latin scripts, are unlikely to be available for registration by the general public. Despite Donuts Inc.’s failed plans to open Sunrise phase for the eleven gTLDs on 29 October 2013, the following domains are expected to be the first to be made available for registration: bike; camera; clothing; estate; equipment; guru; holdings; lighting; singles; ventures; voyage. Sunrise periods for those gTLDs are now postponed to 12 November 2013 and are expected to last until 3 January 2014. Despite delays and pushed back deadlines it is a thrilling time for the Internet and a big step forward, especially for the IDNs. People who encountered problems with accessing the Internet due to the non-Latin keyboard issues will finally have equal opportunities to establish their online presence and mark their identity. Brand owners, however, may face the threat of potentially harmful cybersquatting posed by the hundreds of domains available to the general public. At the same time, there may arise a need for some ‘closed generic’ domains to alter their business models due to ICANN’s stance on private companies restricting access to terms that are perceived as generic. A lot remains to be seen about gTLDs, for instance, if there is going to be a significant interest in them. Brand owners are advised to be on the alert for cybersquatters for six to eight months following each launch of a new gTLD but it is expected that it may take up to a year for all new gTLDs to be approved. Further, brand owners are encouraged to register their brands with the Trademark Clearinghouse and use that tool along with Donuts’ domain protected marks list. 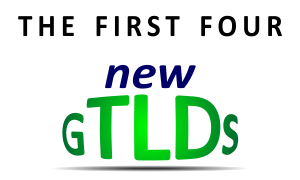 Following their approval for delegation, gTLDs should be open for registration within a period of one year.